Please supply paperwork that confirms this is a fake. why is bid or buy the only auction house in the world that allows fake to be sold. People don't read auction info. They don't see the word replica. It's not a replica it is a fake. These coins did not say fake ,replica, or Chinese copy or anything. Bob you are hurting many people and you are slowly killing our hobby. I call on Jaco Jonker to please stop the sale of fake coins. You are hurting the collectors of coins. ask 5 dealers to confirm that they are fake, but get rid of these things. You are helping the seller to buy more fakes and that is helping the manufacturers to make more fakes. Thanks Rare notes and coins, I agree. As a newbie to rare coin collecting it is easy to make an uneducated choice and perhaps end up spending thousands on something that is worthless! I have decided to educate myself before making any more high-end purchases. I fear that getting that once off rare coin, and it turning out to be fake would most definitely impede my interest in this hobby. Could you maybe recommend any literature that you have found helpful in the past to aid newcomers that would assist them in making educated decisions before purchasing? There also (purportedly) many counterfeit coins on eBay. I do not know how diligent BoB or eBay are in removing these listings. Its also not clear to me whether the "coins" you reference were replicas or a counterfeit intended to deceive. For those who do not know it, replicas are permited in the USA though I am not familiar with the legal requirements elsewhere. Under the US Hobby Protection Act, the replica must display the verbiage "COPY" on either the obverse or reverse. The Gallery Mint Museum (now defunct) used to make many high quality issues but all of them were easily distinguished from the real coin, primarily because the real coins did not exist in the same state of preservation. While I consider these legal replicas a waste of money, its easy enough to avoid them by using your common sense. Earlier on after I resumed collecting, I bought a few of them. When I decided to get rid of them, I listed a 1793 large cent on eBay and clearly stated in the description and the title that it was NOT a real coin. The buyer wrote to me to complain that they did not receive a gem (as in probably MS-67+) 1793 cent even though I told them what it was and they only paid $10 for it. They expressed their "disappointment". I refunded their money but basically told them they need to read the auction listing and use their common sense. Why would they expect to buy the real coin for this price? The same line of thinking applies to this 1931 6P. Not sure what condition it supposedly is in, but if circulated, R60000 is a vastly inflated and ridiculous price even for the real thing and if not, then its too good to be true...and I presume everyone reading my post knows what this means. Either way, sounds like anyone who would buy it has no clue what they are doing and have no business buying coins period. I have to agree with RareNotesCoins 100%. 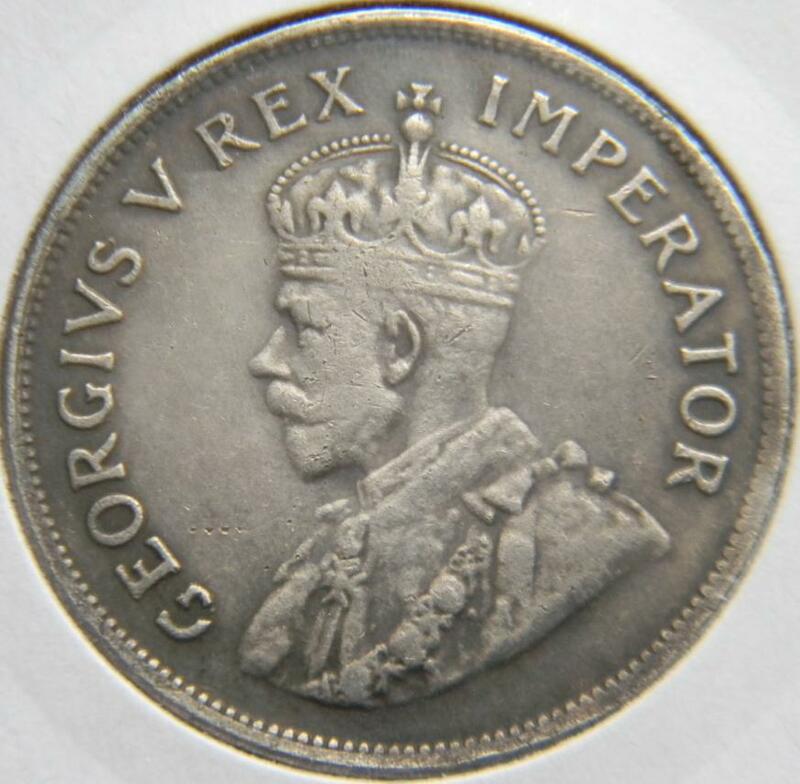 I recently bought a Fake 1931 Half Crown on Ebay which was authenticated by a certain useless grading authority. Within in minutes ebay refunded with no questions asked! ( Although i had an original with images I provided along with my case )Please remove the fake 1931 6 Pence! It puts inexperienced buyers at risk! It can only be called a replica once is it minted by an official mint Company with certification to commemorative a significant event or popular coin/medal. For Example The SA Mint 1892 Silver Replica 5/-. All fakes are usually worn down to present a "VF - XF" look and is designed and altered for no other reason than to dupe people out of their money. Lets make sure we all protect our buyers and Collectors! If you are 100% sure this is a fake, you can report it to the SAPS as fraud AND you should report it to Telana Coetzee - the PA/PR: Numismatics at the SA Mint (phone 012-677 2688. for further action. 1." The South African Mint and the South African Reserve Bank (collectively, "SARB Group) are the proprietors of the Old Coins and inherently own the intellectual property on same, including without limitation copyright and trademark". 2. The advertisement or promotion of replicas of the Old Coins (with or without the word "replica") is also unlawful, unless prior written approval of same has granted by SARB Group". We do not condone nor encourage fake coins on our site, sending us a one liner saying "Chinese Fake" does nothing to help prove the item is fake. We are not experts and cannot simply look at a listing to determine if it's fake. We have asked both the seller and the reporter to provide evidence to this effect. As the person reporting the item is making the allegation, it is also up to them to provide sufficient proof of this. Why is the item fake? What documented proof is available to support this? We are pro-active when it comes to removing items which contravene SARB and the SA Mint copyright and trademark, although I am not convinced they hold the copyright over ZAR coins. I have been waiting for clarity from them on this issue but so far nothing from them. B.T.W. Replica's are sold on eBay. There is no copyright on Z.a.r. coins. Q this doesn't mean people can sell fakes when ever they want to. As I have asked before let more than one person confirm that it is a fake. A witch hunt is not what I want. I want to protect people from spending the money on fake items and never buying coins ever again. 1) As described that there is wear the lower part of the coin, this is impossible as the higher part must first have wear and then the lower part will pick up wear. 2) We have seen these coins for the last 8 years being sold on alibaba. I have see about 30 of them in my shop. The patina on the coin is also I the wrong place as you look at wear. The more wear the lighter the colour on Silver coins. 3) As for documented proof there is none that I know off on the new Chinese fake coins. Experience tells me that this is a fake coin. Should the question not be how do I protect my clients rather than protect my pocket. The one will help the other. I can ask you the same question. What Documented proof has the seller got that its a genuine coin. None. Just trying to help new people buying fakes. We as dealers sit with these problems. If we had to give a certificate for every coin we sell we can jut as well stop dealing in coins. Its not a price issue its a moral issue. Welcome to the forum. There are no books or literature on modern fake coins. When you have time come and read the book on ZAR fakes in my shop. Also ask questions and get other peoples opinions. Don't take one persons word . Ask about weight , dimensions and diameter. If the coin was such a scarce coin I would be graded by NGC or PCGS. This is quick guide to see fake coins. The rest I can show you when I see you. People will continue to list replica's, as long as it is advertised in that manner, obviously if it contravenes copyright and trademarks it should be removed. But we do require documented proof. We have also asked the seller for proof and have removed the listing in the mean time. I do not have any issue with the example you are using but people need to take responsibility for the decisions they make with their money to educate themselves before they buy anything. Today, I can't see a good reason to buy any ungraded Union (or ZAR) coin for that price (R60000) except maybe from a source like Baldwin's. And it's also apparent that if someone did actually buy this fake, that they would have been ripped off anyway even if the coin had been genuine because a real one is worth at most maybe R2000 in the condition evident in the above image. I doubt they would receive much consolation from being ripped off for "only" R58000 versus R60000. Sad to see that he has another one on. Exactly the same photo of the same coin, I will even go to offer grading at Sangs to prove that its a fake at my cost. My problem Is NOWHERE does he mention it as a copy or a fake. He says its real. If I buy that coin and send it for grading and it comes back as n fake. Does Bid Or Buy guarantee me double my money back? It's been removed. We are awaiting feedback from him. Ebay is LOADED with fakes. ZAR, Union and especially rare yen and tons of notes. I bought 2 Yens last year that were both graded fake by pacgs. The Asians are just that bloody good at counterfeits. You can clearly see that the shilling is a fake. The 6d however is a much better copy...I would prob have fallen for that one. JAAA SURE ... Have asked Shalom and he verified that it is real and that he will have it graded at NGC ? And yes Morne maybe it is real or not but i think making assumptions from photos are a bit drastic ??? And that alone questions the integrity of numismatics if you can make a judgement from a pic >>> who needs NGC ??? I personally think that your knowledge of numismatics and values are spot on and I do respect your input BUT sometimes be careful of being too opinionated when the pendle not swing your way . This in itself does not PROVE the coin is fake. No evidence has been presented to confirm the item is genuine. With all due respect. I do know a fake when I see one. I see them almost every day. Have you ever heard of photo grading. It does not look like it. Please do you're research before as I have. I have asked him before this topic and he failed to answer me. Make sure of you're facts as you are doing more harm than helping. Come and see me and will show you why it Is a fake. Jurgen. Thank you for you're reply. I have seen allot of fakes on bid or buy. I'm only trying to protect people from spending there hard earned cash on school fees. You of all people should understand that, I would try and protect you just as much, as you do not have the knowledge to discern fakes from China. That comes with experience. I have offered to grade the coin at my cost , to prove my point. I will tell you on thing, you will not see that coin on on bob in a NGC holder ever. Willing to put my reputation on the line. Would You? I am totally in agreement with you about warning others about being ripped off. In a world of fake Rolex's (remember when those made their rounds at first), or whatever it is that Joe Ordinary desires, there's always a "bargain" around. Why then are we surprised when the South African numismatic market is also becoming a target of this phenomena? But before I give you my answer, I must mention the Mandela coins. Here we have a genuine article being sold for ridiculous amounts of money. To me these coins are as fake as the 6 pence you are posting about. In both instances the seller is trying to rip you off. Now who do you ban, because both are equally dishonest. I think Unions have always been very collectable, and the fakers are latching on to this. Local sellers (like any good capitalist would) also play their part in hyping and pushing prices, but surely common sense must play a part when buying second hand goods. I still say, as with Sammy Marks, allow the seller to list their fakes truthfully and BOB's your uncle. This was exactly the point of my prior posts on this topic. There all kinds of ridiculous rip off prices being asked here on BoB (and eBay). The difference between these rip offs and one selling a fake is one of degree and not kind. And it isn't remotely limited to Mandela coin but equally applies at least to union. Yes, but Mandela coins are genuine coins whilst fakes are, well, fakes. Whilst one can question the prices paid for Mandela coins, at least the buyers are purchasing genuine coins - albeit at what appear to be crazy prices. Fakes are not genuine coins and are manufactured to deceive and swindle. Sometimes, the sellers of these fakes reap rich rewards from what is essentially plain crookery. There is no way that the sale of fakes or replicas can be condoned or viewed as being of benefit to numismatics. Once again, it is a matter of degree. 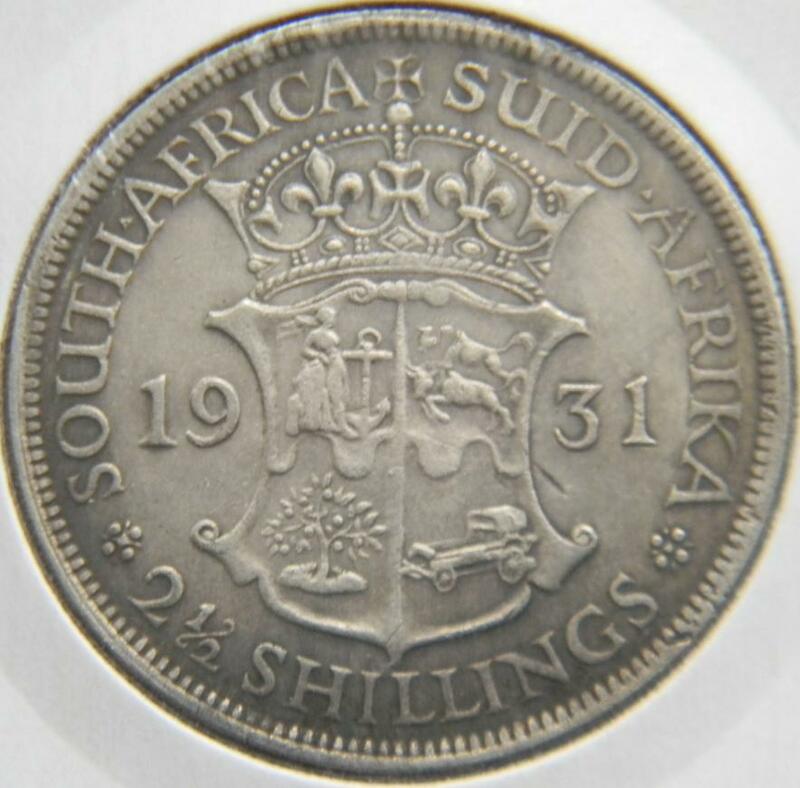 In the original example here of the 1931 6P, I stated that a genuine VF is worth R2000. Maybe since DNW or Baldwin's sold it (probably the same coin) on one occasion for 80 GBP and then for 200 GBP later its worth somewhat more. But regardless, its worth nowhere near R60000. Given this indisputable fact, does anyone reading this topic really think that a prospective buyer who gets duped is going to find it much consolation that they only were ripped off by R58000 instead of the full R60000? To believe so is preposterous, contradicts common sense and the difference in "ethics" between the two is a matter of semantics. Yet that is exactly what i appear to be reading not with your comments specifically but in this topic generally..
Also, once again, it isn't just the Mandela coins where this has or did happen. I see it in Union at least (since I do not check ZAR anymore) regularly though not as much as I did at the peak of the market in 2011. But the reason I see that anyone or most will want to use Mandela coins as the basis of comparison is because first, they conveniently do not collect or try to sell them. And second, some or many probably believe that the absolutely absurd prices that I am referring to for Union (and maybe ZAR) are what the coins are actually worth or should be. It is a form of rationalization and denial. When it comes to a fake coin, since it is a misrepresentation of what the item really is, obviously it is dishonest regardless of what the sale price happens to be. A price like R60000 just adds insult to the injury. Whether Mandela or otherwise, if the seller describes the item correctly and a buyer of their own choice decides to bid it up to what is actually an astronomically absurd price (almost certainly in combination with other bidders), it isn't the seller's fault. The buyer has complete responsibility. If the seller exaggerates the merits of the coin (such as its rarity) and asks a price which is far more than its actual market value, the buyer is still more at fault than the seller because they need to know the value of what they are trying to buy, but it doesn't mean that the seller isn't still trying to rip them off. I believe that this happened a lot up to the 2011 peak because there were (and maybe still are) a disproportionate number of new and uninformed buyers who either willfully wanted to believe that what they were buying was a great "investment" and those who sold it to them took advantage of their ignorance. Not only do i believe that this happened a lot up to 2011, but that there are many now who are hoping for a return to those prices levels (and much higher) so that they can both dump coins they own now with a huge unrealized loss and make outsized profits by "flipping" coins to a new group of ignorant buyers. On other occasions, I see sellers just list a coin at the Hern catalog price. However, since the difference between these lists prices and the actual value is at least on some sometimes disproportionately large (as in up to 10 TIMES in one I specifically know and the coins were still listed on BoB the last time I checked), that is also a rip off. Hiding behind the catalog doesn't change it because those prices are fiction and the seller either should or actually does know it.